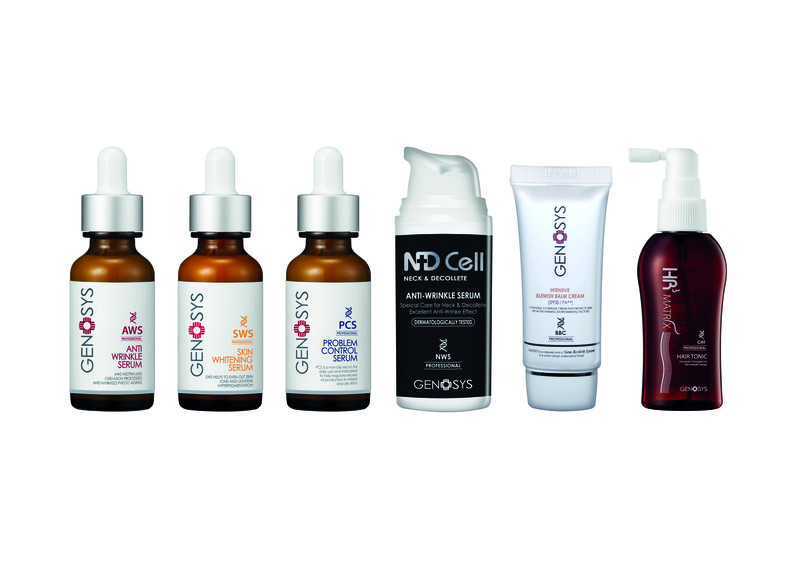 Skin Health Solutions are delighted to introduce Genosys cosmeceutical and microneedling range. Manufactured in South Korea, the home of truly amazing advanced skin care. Genosys offers a complete & innovative microneedling system with aftercare products. 95% of products are Paraben free, the rest are free from mineral oils, fragrance, SLS & SLES. 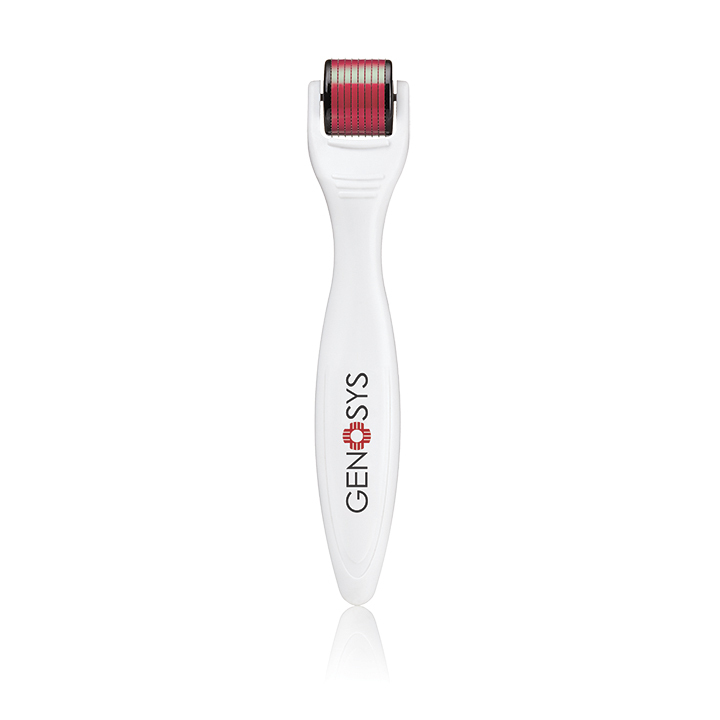 New to the Genosys range is the Geno-LED device, a must have following advanced skin therapies. Also, the superb Dermafix automated pen device, less uncomfortable than a dermaroller and fully flexible with different needle lengths and speeds. The homecare products are not available online, so if you would like to purchase we can put you in touch with one of our stockists. Alternatively if you would like to stock Genosys in your clinic or salon please do not hesitate to contact us. The Genosys automated pen device, the ‘Dermafix’ also stimulates the growth of collagen fibres by creating superficial breaks in the skin. Topical anaesthetic is not needed so therefore treatment time and cost is reduced. A dermaroller is a cylindrical drum shape surrounded by microneedles. The device creates superficial breaks in the skin when rolled upon it. It stimulates the growth of collagen fibres below the skin. Microneedling results in the natural response to wounding of the skin, even though the wound is minute and mainly subcutaneous. A single needle prick would cause an invisible response. However, when thousands or tens of thousands of fine pricks are placed together one gets a “field effect”. This therefore promotes the normal post-traumatic release of growth factors and infiltration of fibroblasts. This reaction is automatic and produces a surge of activity that inevitably leads to fibroblasts being instructed to produce more collagen and elastin. Due to the protective function of the skin barrier and the big molecular size of ingredients used in skincare, approximately 99.7% of the applied or sprayed nutritive elements cannot pass through the stratum corner. which is the outmost layer of the skin, but remain on the skin and finally dissapear. Overall, only 0.3%of the applied nutritive elements can infiltrate into the skin. and allow delivery of active ingredients. You must be qualified to purchase microneedling products from our store. 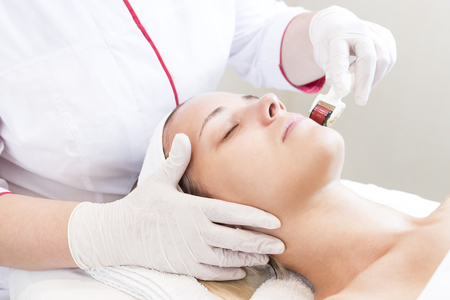 Emma Coates AT provide incredibly competitive courses in various skin care treatments. To qualify for the microneedling course you must be level 3 in beauty therapy, semi-permanent makeup artist, nurse, dentist, doctor, pharmacist.